There are lots of DIY brides out there that want to do everything themselves. This takes up a lot of time, and for some people it's a lot harder than they realize after they get started. A great way to make things a lot easier on yourself is to accept help where you can get it. Wedding DIY help from WhereBridesGo.com is available in the form of kits that do some of the work for you. Our Wedding Fan Program Kits are a great example of this. 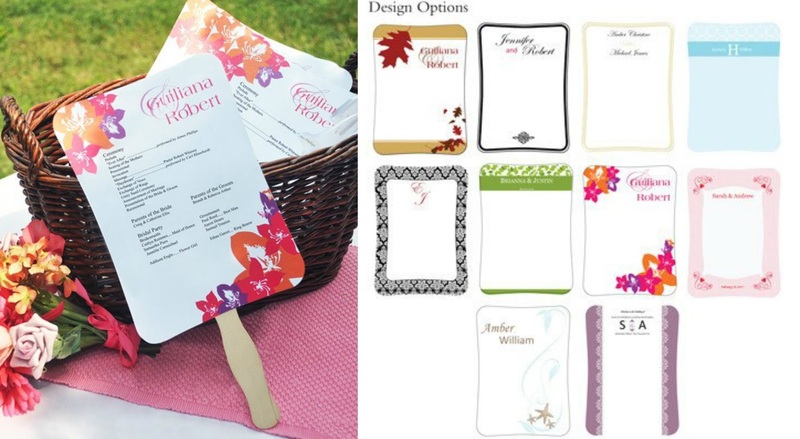 Turning the program for your wedding into a fan is perfect for outdoor ceremonies taking place in hot weather, plus it doubles as a cute favor for guests to take home. Our kits offer a wide variety of shapes and designs, allowing you to completely customize the final look and personalize it with your own touches. Every kit comes with a CD of pre-designed templates, letting you choose from many different looks to find the one that's perfect for your wedding. After you pick your favorite, you can fill in all of the details and adjust the wording exactly the way you like it. Simply print them out on the high quality cardstock provided and assemble them using the sticks and adhesive glue dots that come with your kit. 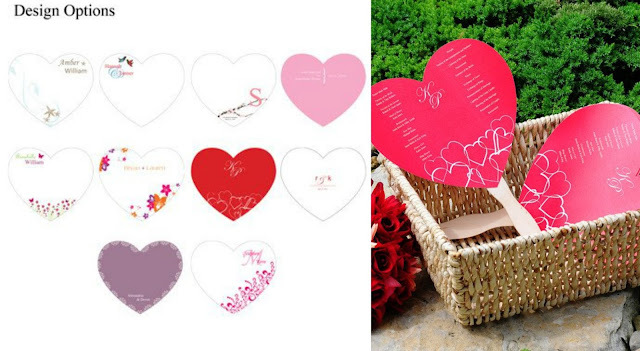 The DIY Scroll Fan Program Kit has a rectangular fan, offering simple yet elegant designs for you to choose from. It features 9 different color schemes. If you want something a little fancier, you may prefer the graphics available with our DIY Designer Fan Program Paper Kit. For the romantic bride who loves to see hearts everywhere, the DIY Heart Fan Program Paper Kit lets you get creative with both the wording and the shape. 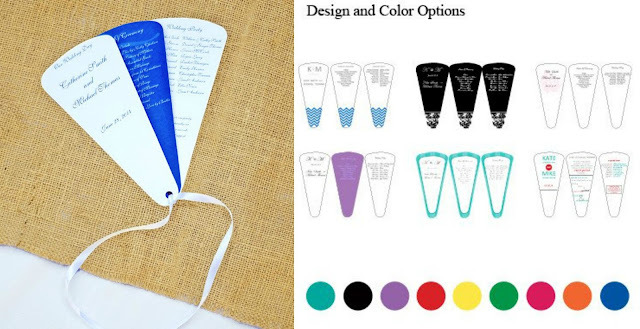 If you prefer a more traditional type of fan for your wedding programs, we also have the DIY 3-piece Fan Program Kit made from high quality cardstock and tied together with elegant satin ribbon. There are lots of different ways that you can show off your creativity and personality by "doing it yourself," but there's no need to take on more than you can handle. 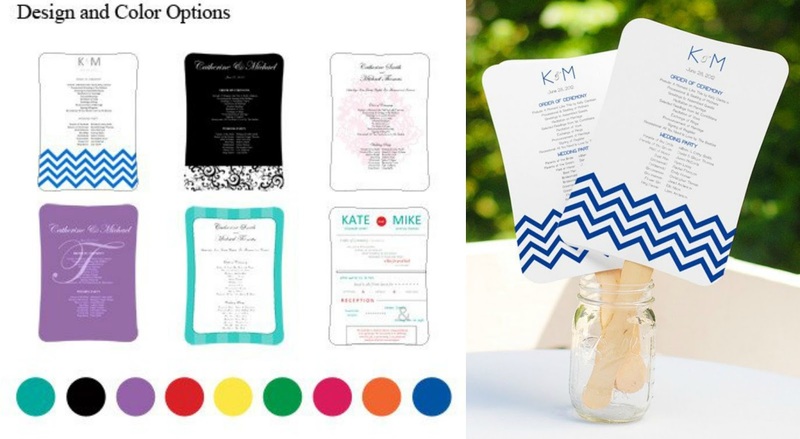 Using kits from our online wedding accessory store for programs, favors, invitations, and more will take some of the pressure off of you and save you precious time. These wedding fan programs are just the beginning of what WhereBridesGo.com has in store for you. Head on over to the website and take a look around. It's where brides go... for what brides love!